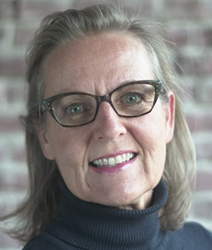 Last we met Susanne Somerville she was speaking at Outsourced Pharma San Francisco, at an outstanding session on “Blockchain And Your Supply Chain.” Somerville was also featured in our editorial, Big Pharma Moving The Blockchain Needle. More recently, while still leading the MediLedger Project – a biopharma-industry working group (including Genentech, Gilead, Pfizer) for the study of blockchain implementation – she was named CEO of Chronicled, a blockchain/supply-chain solutions company. I caught up with Somerville for an update on blockchain, particularly vis-à-vis CDMO participation. We started by talking about what will become one of the fastest applications of blockchain technology in our industry. She’s discussing this November’s deadline for the implementation of the Drug Supply Chain Security Act (DSCSA). Biopharma manufacturers will be required to verify for wholesalers (and others) the authenticity of “salable returns” when drugs are returned or recalled. Some estimates are of 60 million units a year that will need to be verified. The verification process has been defined mostly by the Healthcare Distributor Association (HDA), the national organization representing primary pharmaceutical distributors. Accordingly, wholesalers/distributors will need to verify product identifiers, serial and lot numbers, and expiry dates. “Now it’s up to solution providers to build out against those requirements, and for biopharma companies to implement them,” says Somerville. 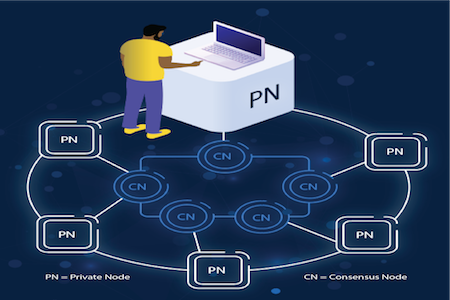 Chronicled has already tested a “private-node to private-node” blockchain-like system. When a warehouse needs to scan items, it connects to its private node, which sends a message to another one where it needs to perform a check of the manufacturer’s repository. The answer comes via a return trip. “We’ve tested this back and forth, and depending on a few favorable factors, it’s as fast as 50 milliseconds,” says Somerville. But how do you get a sub-second response among a 100-plus wholesalers asking 800-plus licensed manufacturers, working with 15 solution providers in the mix? That testing comes next, starting in Q2, estimates Somerville. But back to those 20,000 items accumulating in a single warehouse in a single night … and that “sub-second” requirement. “Yes, exactly,” says Somerville. “Without a network, or blockchain, or node solution – whatever you want to call it – that’s a lot of product stocked up along walls that cannot be moved. How can you handle that? That’s why this remarkable response-time requirement was handed down. “You could say you guys are crazy. Is that even possible?” she continues. “But kudos to the whole biopharma industry. There was a lot of discussion on how to do it. What’s even better is this actually sets, in my mind, the framework of the entire industry’s ability to finally communicate interoperably. This is creating effective channels of how the industry is actually, in these beginning steps, going to be able to communicate with each other. Somerville says that once we have initial “interoperability,” there’s no telling what communications benefits will be available to the biopharma industry. That’s understandable, but still a shame. Blockchain-like solutions to better tie together communications between and among biopharma and service providers would have a major impact on the industry. Wrapping up our review, I bring Somerville back some two years ago to one of the first discussions we had regarding blockchain technology. “Is it a blessing today that when people hear “blockchain,” they no longer reflexively think “crypto-currency and bitcoin?” I ask. What would also be cool is if that focus brings forth solutions for the drug development and manufacturing outsourcing sector. In a sub-second would be nice, too.